Taxi firms are a business like any other. Though they maybe more mobile in their operations, they still need to entice an audience, build a customer base and draw in a profit. Moreover, like other companies they have competitors, and they always need to stay ahead of them if they want to grow and succeed. 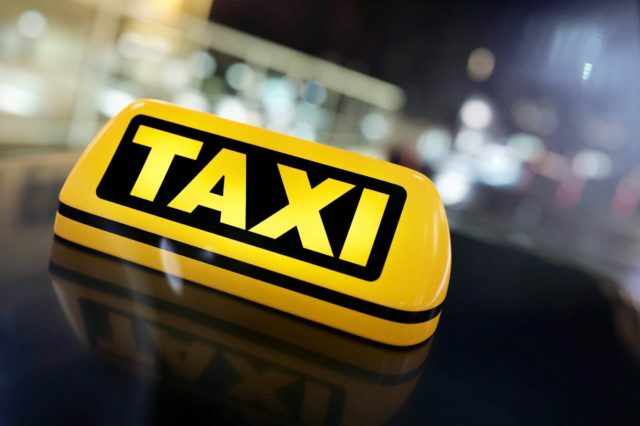 Availability equals dependability, and when your rivals have more resources, things can start to take a turn for the taxi firm. This is where Uber comes in. They entered the industry and have begun to edge out their competitors in certain corners. But how are they doing this, and are they killing the cab trade entirely? Here’s a quick rundown on what’s going on here. If you’re wondering past a train station, you will frequently see numerous taxis lining up and waiting for potential passengers. Notably, you are unlikely to see an Uber there doing the same. This is because the taxi driver must be patient and wait for the customer to spot and approach them. Of course, Uber doesn’t do things this way. Uber have a strong online presence, allowing customers to tap their screens and book a ride. This means that hoping for a ride is swapped out with guaranteeing a ride, meaning more and more people use the app. After all, on a wet and windy day, waiting for a taxi to stop by can be a real downer. Consequently, Uber is always busy, and the taxi sporadically sits stationary and empty. Regular taxi firms mostly use vehicles provided by the company. Each driver will have a designated car from a fleet of vehicles, and cruise around in some mundane and uninspired vehicles. They can be quite drab and depressing, and don’t really scream quality service. Nevertheless, the common taxi driver must make do. However, so long as an Uber driver has a private licence, they can use any vehicle at their disposal. Some of them utilise services like Car Direct and find a suitable new or used taxi, giving them a broader range of vehicles to work with. After all, more options allows an Uber driver to build a more distinguished service. Ultimately, this helps Uber stand out from common looking cars, allowing them to add a bit of nuance and finesse to their services. Uber certainly has its fair share of pros. Still, while many people hail the firm as convenient, cheap, stylish and easy, others think it doesn’t exactly play by the rules. Consequently, Uber has been branded a polarizing enterprise by some, doing enough to attract more than a few naysayers. Obviously, this has more far reaching consequences than having a handy app or a fancier car than a taxi. In recent times, Uber experienced a whirlwind of controversy in London, surrounding safety concerns for passengers and an unsustainable business model. While their licencing has been called into question, taxis generally don’t experience this level of citywide criticism. They’ve operated for years and years, and people trust them. For the most part, taxi firms play by the book, whereas some are becoming concerned that Uber have thrown said book out entirely. In the end, this negative press could well keep taxi’s trucking along for awhile yet.